After watching the YouTube video, Researching Genealogy - How to Find Your Inventor Ancestors by +Kenneth R Marks about using the Google Patents database to look for ancestors, I decided to search for the surname Redles. It's not a very common surname in my family, so I thought I wouldn't have hundreds to pick through. 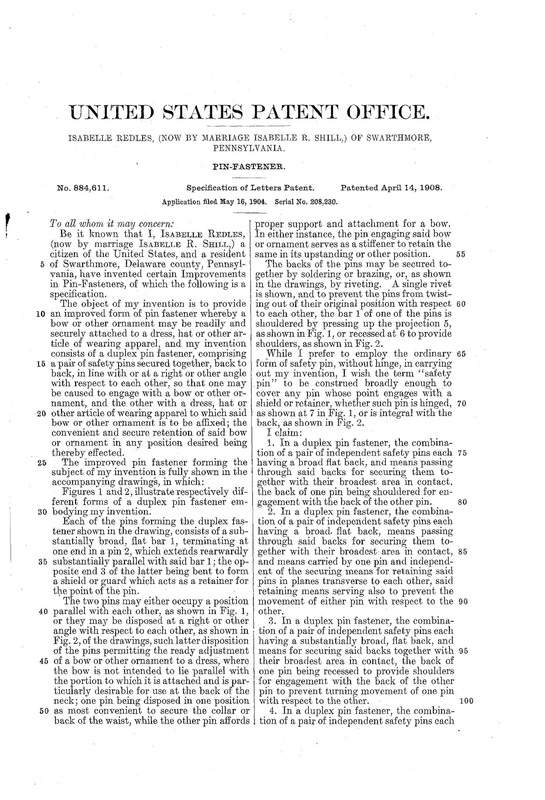 Lo and behold, I discovered that my maternal great aunt (my grandfather William Liming Redles's sister) Isabelle Redles applied for a patent in 1904 for a pin fastener! 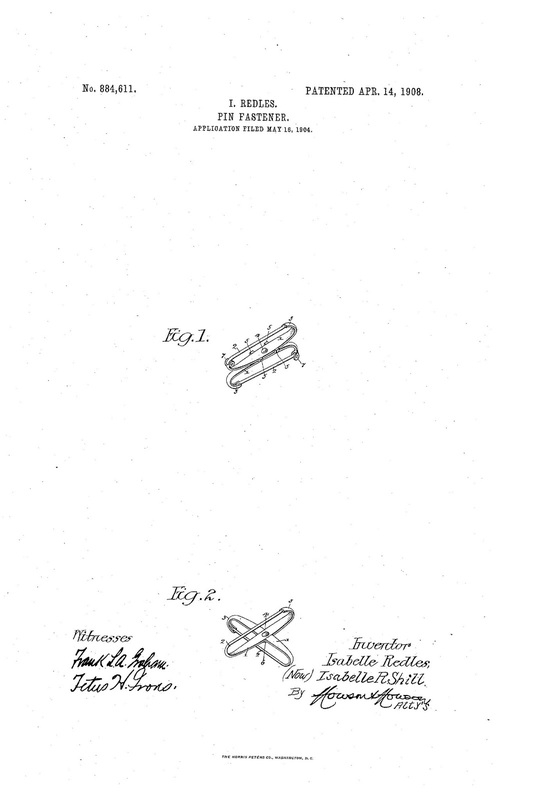 Isabelle was awarded patent number 884,611 on April 14, 1908, for her pin fastener. 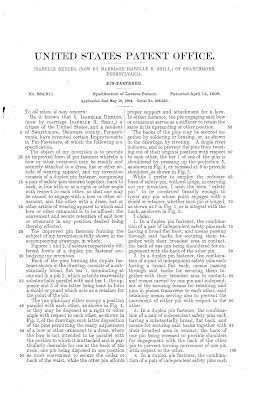 Below is a copy of the patent with an illustration and description of her invention (click on each page for a larger view). Since Isabelle invented a way to easily accessorize women's clothing, I can guess that she was interested in fashion and probably also in convenience and time-savers (or rather, frustration-savers--if you've ever tried to pin a bow on a dress and have it hang straight, you'll know what I mean). I'm all for anything that saves me even just a few seconds! 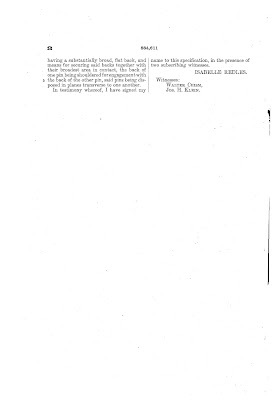 According to the patent, she lived in Swarthmore, Delaware County, Pennsylvania, when the patent was filed. 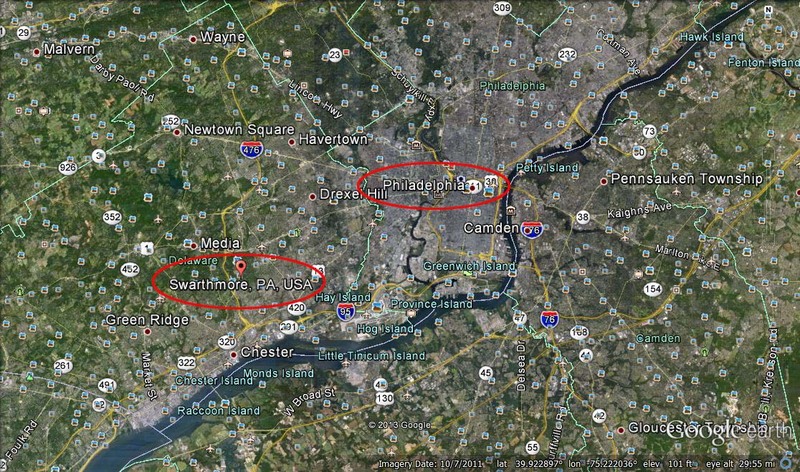 I've always assumed she lived in Philadelphia because my grandfather told my grandmother in his letters that's where he would go to visit his sisters. 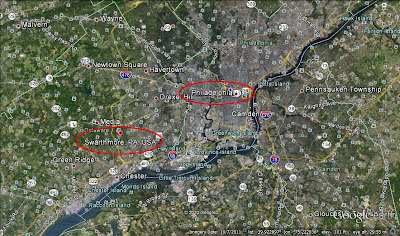 I looked up Swarthmore to see where it's located and found that it's not that far from Philadelphia--about 10 miles or so (click on the map below for a larger view). Here's Swarthmore's website about their history http://www.swarthmorepa.org/about/history.asp. 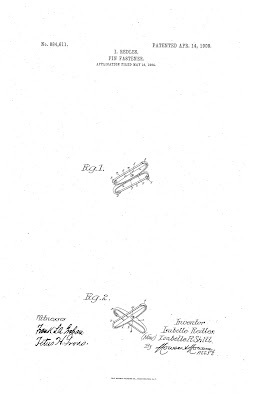 I emailed the patent to one of Isabelle's grandsons and asked him if he knew that his grandmother was an inventor! It was news to him, too. I wondered if she ever had any of these pin fasteners manufactured, but I guess we'll never know. It was fun finding out there is a female inventor in my family! Ancestry.com. Philadelphia, Pennsylvania, Marriage Index, 1885-1951 [database on-line]. Provo, UT, USA: Ancestry.com Operations, Inc., 2011.